Whether it’s protection from the harsh sun or pouring rain, Temo’s solid roof-style patio cover protects your pool deck, patio, or other outdoor living areas from the elements. 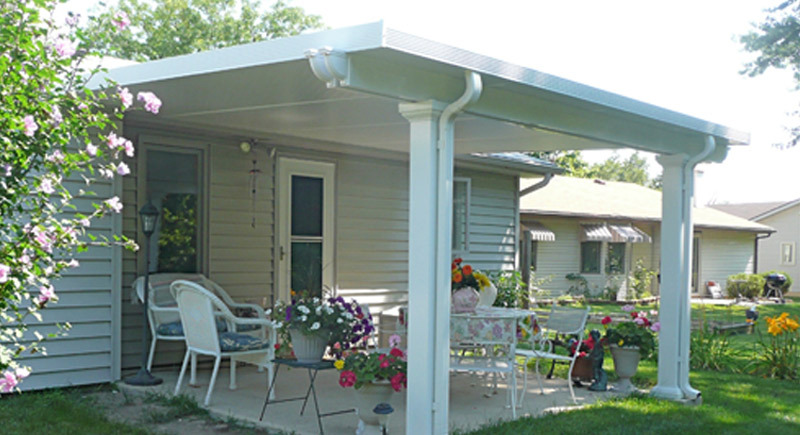 Don’t let the rain or heat drive you indoors. 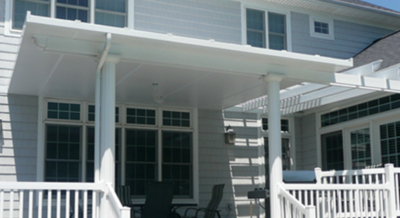 With an aluminum patio cover from W.A. 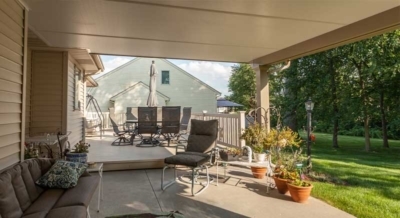 Zimmer, you can enjoy the outdoors in any weather. 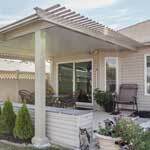 Patio covers, also known as a patio roof, offer shade from the harsh UV rays present outdoors. 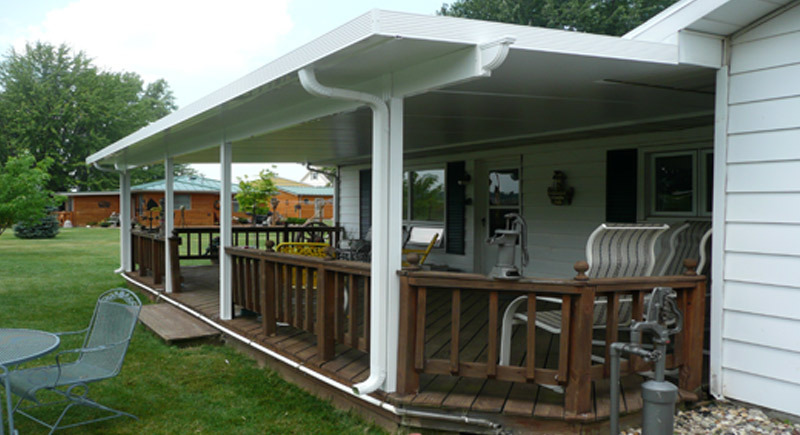 They are usually offered in a couple of different styles, including a carport and solid roof option. 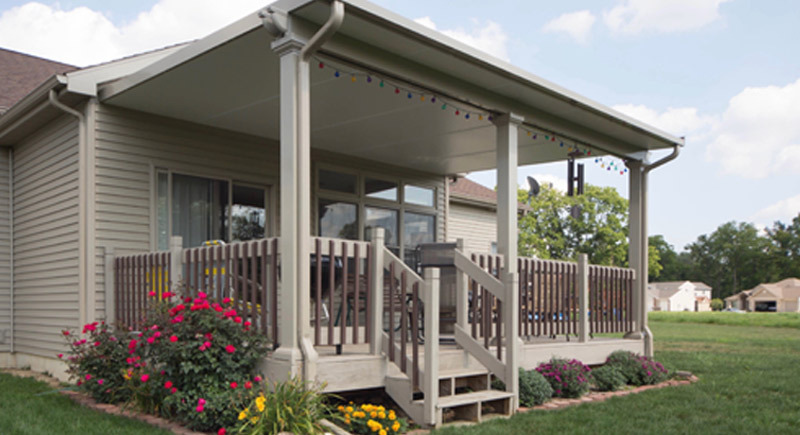 Solid roof options offer protection for all your outdoor living areas, including your pool, deck, BBQ area, and any other outdoor area. 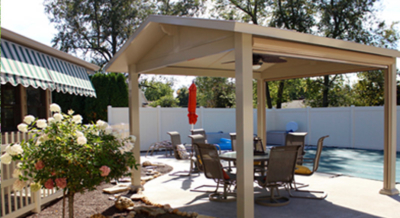 They offer comfort in the summer’s blazing heat and even in the middle of a rainstorm – perfect for keeping your guests comfortable and out of the unpredictable elements! 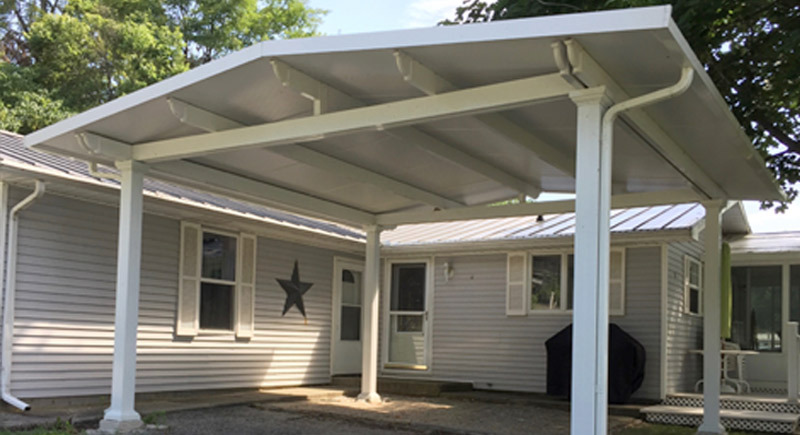 Carport patio covers are perfect for your vehicle’s protection – keeping your paint fresh, your car clean and out of the elements, without the expensive upfront cost of building a brand-new garage. These patio covers make the perfect addition to your home with three beautiful column styles to choose from: Florentine, Venetian, and Roma. 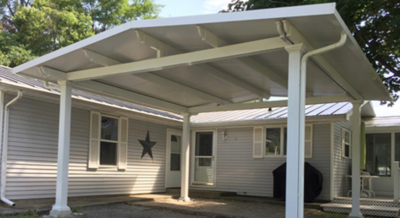 We also have the Sante Fe which incorporates the solid panel thermal roof of a patio cover with the attractive look of a pergola. 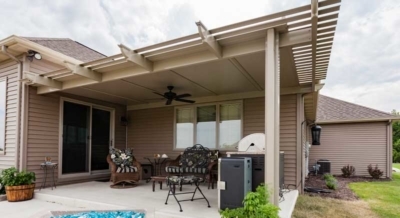 The Santa Fe offers the highly-desirable look of a pergola with a solid panel, thermal roof. 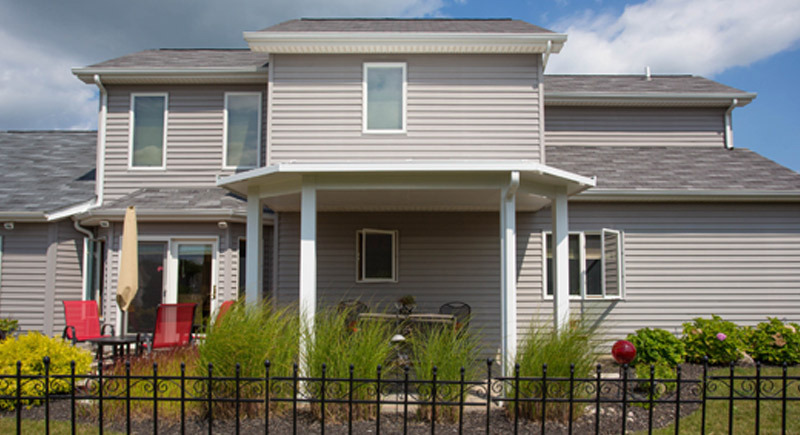 This unique look offers a popular Mediterranean style. 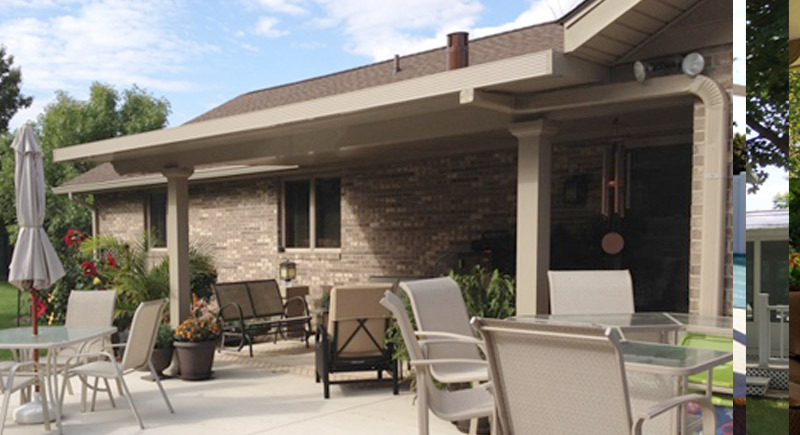 The roof structure is supported by Florentine columns (including decorative bases) and pergola beams, creating an elegant and sophisticated look in your outdoor living area. Plus, The Sante Fe features the added bonus of being able to install retractable screens to make this distinctive patio cover, functional and beautiful. 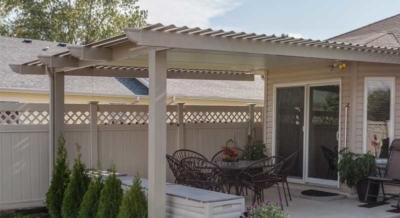 If you tend to lean towards a simple, minimalistic covered patio, The St. Thomas might be the perfect solution for you. 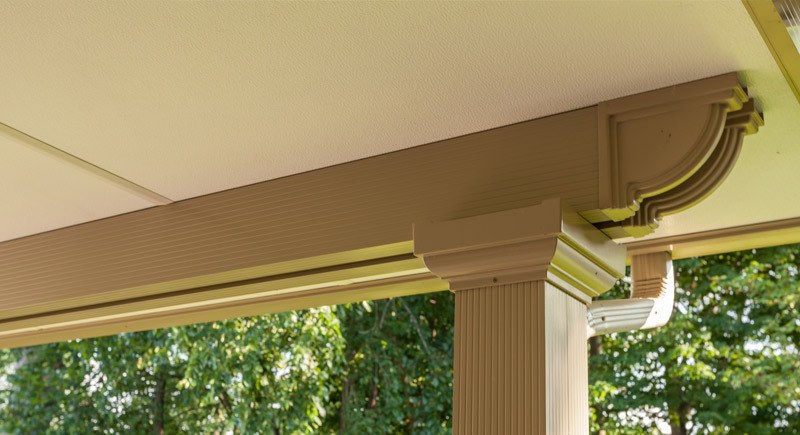 The St. Thomas features a single beam and corbel design with support provided by the prevalent Florentine-style columns. 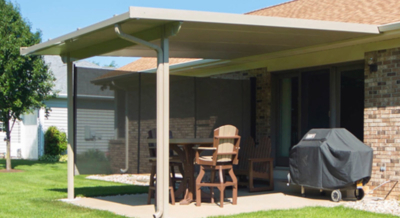 You can also utilize an optional retractable screen, just like The Sante Fe, to provide protection against pesky mosquitoes. 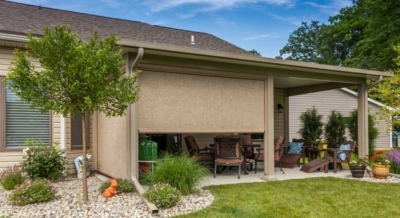 This is not your Grandmother’s patio cover. 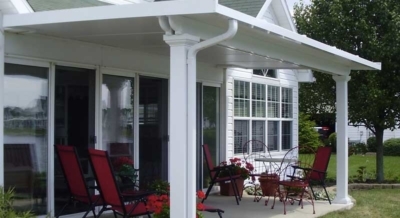 Old style patio covers are made of a single layer of aluminum that does provide shade but allows the heat of the sun radiate right through the aluminum. W. A. Zimmer patio roofs are constructed with dense insulation sandwiched between two layers of aluminum which stops heat from radiating onto the living space below. All our patio roofs are engineered for the harsh winter snow loads, are installed to meet all building codes, and are available with a variety of support columns to choose from. 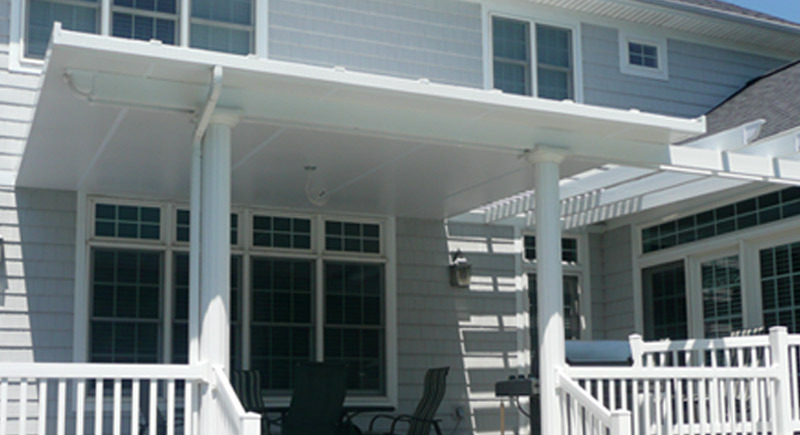 Patio covers are the solution to provide shade and weather protection for your deck or patio. Are you ready to transform your patio, deck, or other outdoor space? 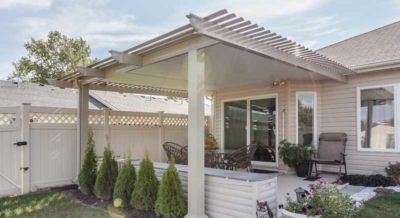 Let the design experts at W.A. 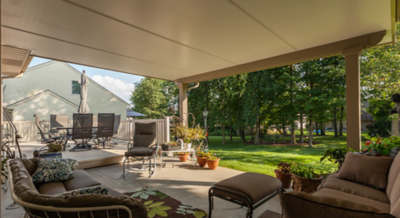 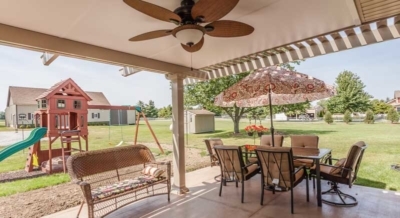 Zimmer help you decide which patio cover is right for you. 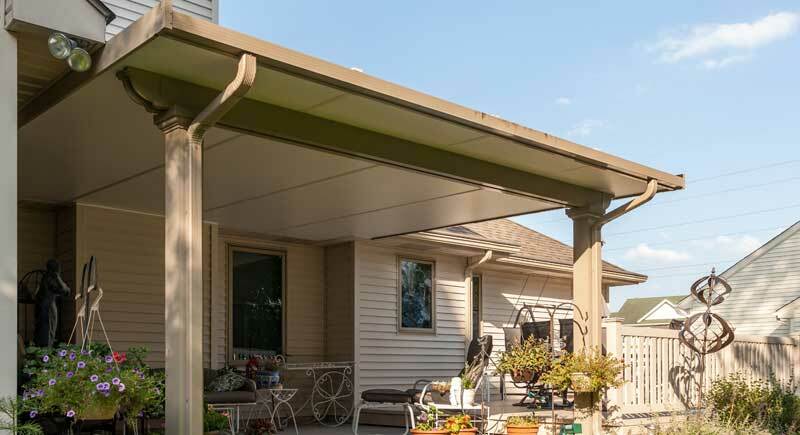 Contact our patio cover contractors today to schedule a free, no-obligation quote on your next outdoor home improvement project. 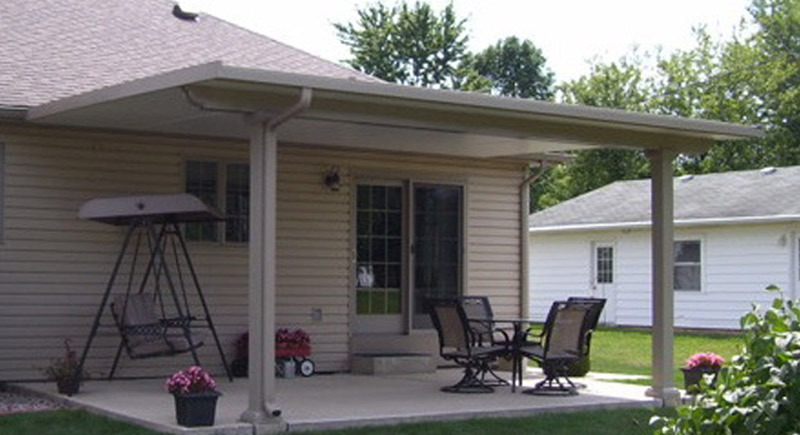 We build patio covers in Fort Wayne, Huntington, Warsaw, Angola, Kendallville, Marion, Wabash, and surrounding areas including lake homes. 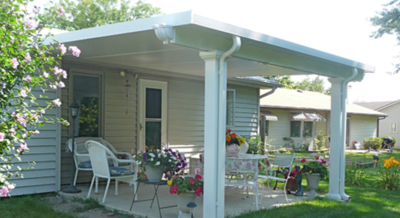 We’re proud of the work that we do. Check out our patio cover inspiration gallery below for ideas on your new patio cover / patio roof and to view some of the covers we’ve built in Fort Wayne, Huntington, Warsaw, Elkhart, South Bend, Bluffton, and surrounding areas. 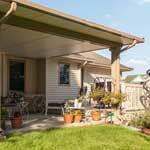 Fill out the form to schedule a free in-home estimate. 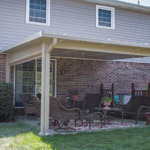 One of our patio cover designers will come out, discuss your needs, take a look at your space, measure, and give you a price on a new patio cover.